The name says it all, Hundred Islands consists of around 120 islands and islets from tiny to large scales scattered in Lingayen Gulf which were formed more than two million years ago. 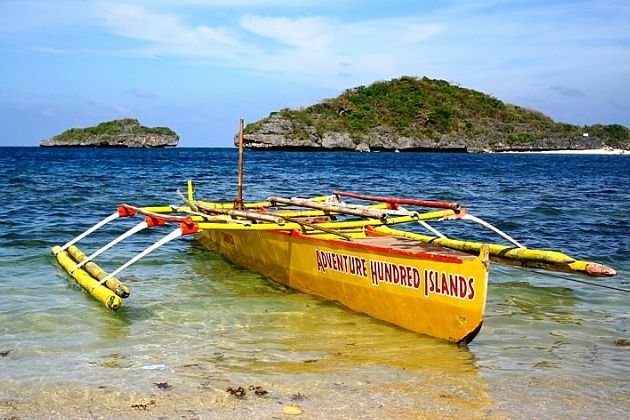 Escape from the hustle city, take Hundred Islands Shore Excursions to taste Philippines nature in a cheap and fun way. Your day trips will be full of white-sand beaches, mysterious caves, splendid limestone rock formations & cliffs, enriched marine wildlife, and warm local people. During your Hundred Islands shore excursions, challenge yourself by jumping off Marcos Island with the height of 20 feet, hit the beach with sparkling sunshine on the sand, ride a boat through islands and islets, trek through the peak of high cliffs to catch the panoramic view over the natural park, enjoy water sports such as helmet diving, banana boat riding, kayaking, snorkeling, and jet skiing. Below are plenty of itineraries for Hundred Islands Shore Excursions designed by experts coming from Shore Excursions Asia. Take a quick tour and contact us for tailor-making a unique Hundred Islands day tours which exclusively for you.